The Duckworth Lewis Method will be chatting to historian Tom Holland and playing some delightful songs for the launch of The Nightwatchman magazine at Rough Trade East. Wednesday 18th September, 7PM at Rough Trade East, London. Buy the latest issue of The Nightwatchman on the day of the instore at Rough Trade East and collect a wristband at the same time! "The Nightwatchman, the Wisden Cricket Quarterly, was launched in spring 2013 and this evening sees the first appearance of the third issue. The Nightwatchman, which featured the song of the same name by The Duckworth Lewis Method in its first issue, showcases the very best of cricket writing from around the world, gathering together leading cricket journalists and well-known writers from other disciplines - mathematics, poetry, history, literature - to offer long-form, original pieces about all aspects of the game. Available from the www.thenightwatchman.net in print and digital formats, The Nightwatchman aims to provide writers with a platform to write essays where word count is not a primary factor, an opportunity that rarely exists either online or in magazines. The aim of The Nightwatchman is to ensure that the great tradition of quality cricket writing will be continued. The first three issues have featured writing from the likes of Dileep Premachandran, Tom Holland, Rob Smyth, Rob Steen, Rahul Bhattacharya, Christian Ryan, Tanya Aldred, Osman Samiuddin, Patrick Neate, Jonathan Wilson, Andy Zaltzman, Gideon Haigh, David Foot, Lawrence Booth, Emma John, Marcus Berkmann, John Crace, Aakash Chopra, Robert Winder, Patrick Collins and Mirza Waheed. 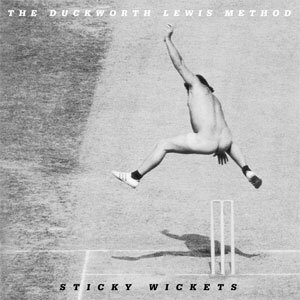 On the evening itself, historian Tom Holland will be talking to The Duckworth Lewis Method about the inspiration for their music and then chatting to fellow Nightwatchman contributors Jon Hotten, John Crace and Rob Steen about cricket and writing. 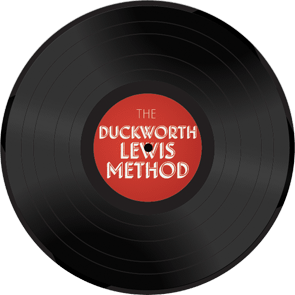 The Duckworth Lewis Method will then play songs from their two albums." For more information, or any enquiries about the evening please ask those lovely folks at Rough Trade East/The Nightwatchman.